Karnataka, an old theatre of anti-poaching campaigns, is ruled by the Congress but the party’s worries have increased since the Gujarat MLAs were flown in and penned in early Saturday morning. BENGALURU: Sonia Gandhi’s right-hand man Ahmed Patel needs 43 votes to win his Rajya Sabha election in Gujarat on August 8. Forty-four Congress MLAs have been herded into a resort named Eagleton near Bengaluru, protected from the all-out poaching offensive launched by the BJP in multiple states. With six MLAs already having flown its strength of 57 since the ouster of strong man Shankersinh Vaghela, the Congress is fighting a rearguard action to ensure the reelection of Ahmed Patel, whose loss, should it happen, would be a severe blow to the grand old party’s standing across the country. Karnataka, an old theatre of anti-poaching campaigns, is ruled by the Congress but the party’s worries have increased since the Gujarat MLAs were flown in and penned in early Saturday morning. Some of the MLAs are fuming that they have been separated from their mobile phones, which they ostensibly need to keep in touch with their constituents back home. Three MLAs from south Gujarat -- Dharshibhai Khanpura from Kankrej, Mahesh Patel from Palanpur and Govabhai Rabari from Deesa – were indignant enough to demand to be flown back. "These constituencies have been hit by flooding. These MLAs want to talk to officials in their constituencies but the resort manager took away their phones," a source in Eagleton said. 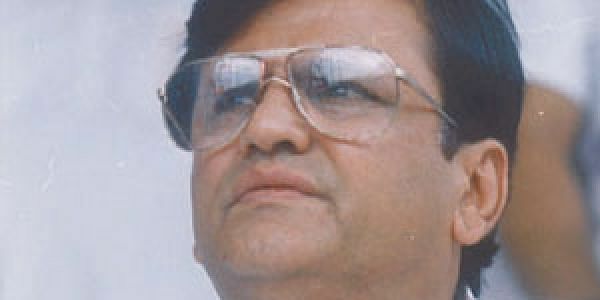 Reports are that four senior Congress leaders were left behind in Gujarat to plan a strategy to steer Ahmed Patel home on August 8, when elections will be held to three Rajya Sabha seats will be held. Two of them are guaranteed for the BJP candidates Amit Shah and Smriti Irani. The third is coveted by Sonia aide Ahmed Patel, but the BJP has fielded a recent Congress defector as a challenger. Given that 11 MLAs cross-voted for the NDA presidential candidate Ram Nath Kovind, and Shankarsinh Vaghela and his son Mahendrasinh Vaghela have been ousted and six MLAs in all have resigned or defected, Ahmed Patel’s anxieties are at an all-time high. In Bengaluru, sources in the party said energy minister D K Shivakumar was needed to look after the Gujarat MLAs but as he is away to Singapore on personal work, his younger brother and Bengaluru Rural MP D K Suresh, Congress MLC C M Lingappa, and party leader Saleem Ahmad are handling the operations at Eagleton on Mysuru Road, 22 km from Bengaluru. Giving an insight into what this kind of operation entails, Suresh told New Indian Express, "We are taking care of the MLAs. They arrived here late in the night and are taking rest at the resort." The MLAs are likely to be taken to a temple but Suresh didn't specify which one. According to sources at Eagleton, the Gujarat Pradesh Congress Committee has booked 35 deluxe rooms for the 44 MLAs, each costing Rs 8,000-Rs 10,000 per day. "As a package, it costs Rs 7 lakh per day for food, spa and other facilities,'' a source said.